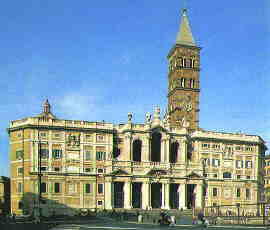 St. Mary Major is the greatest of many churches dedicated to Our Lady; it is the only Roman basilica which, in spite of several additional decorations, has retained its original shape. It was built, as the legend goes, in 352 B.C. after an appearance of the Blessed Virgin. The basilica, also called "Liberiana", dates from the time of Pope Sixtus III(432-440).